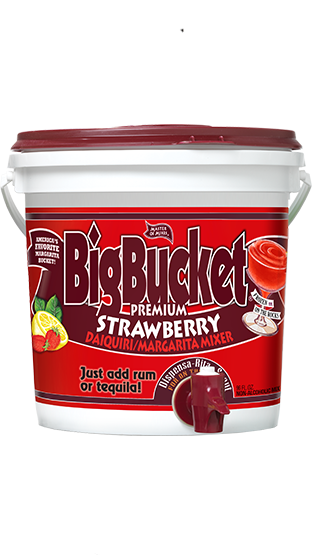 Tasting Note: BigBucket Strawberry Daiquiri is the number one selling strawberry bucket in the category. Versatility is key to this product as it tastes delicious with both rum and tequila! Juice: 1%/Juice type: Key lime juice, California lemon juice. Colour: Translucent red. Flavour: Hints of red ripe strawberries with refreshing lemon, lime and orange notes.